Safety is a partnership between the product and the user. We at Carry-On Trailer value the safety of customers and our trailers over everything else. But for this to be standard, we need to help you, our customer, know how to be safe as well. Driving a vehicle is a huge responsibility and one that can’t be taken lightly. When you’re towing a trailer with your vehicle, you must be even more vigilant when it comes to safety on the road so you arrive at your intended destination without any issues. That’s why we’re committed to helping our users understand their trailers and learn exactly what safer towing is and what safer towing entails. One of the most important things to know is that safer towing doesn’t just take place when your vehicle and trailer are in motion. Safer towing is a process that begins with a careful inspection of your trailer to make sure there is no visible damage that could inhibit your ability to tow it safely. That means checking tire pressure on all tires – including the spare – as well as checking for uneven wear patterns, cracks, and other signs of wear or damage that could make the tires dangerous to drive on. It also means checking and retightening lug nuts when necessary, as well as making sure your coupler is secured, tight, and locked, and that safety chains are properly rigged to your tow vehicle, among other things. 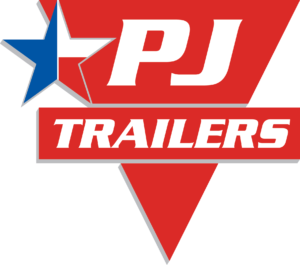 In addition to checking the different parts of your trailer and its connections, another key to safer towing is making sure your trailer is loaded properly. That means ensuring your cargo is balanced and tied down with heavier cargo in the front of the trailer, as well as making sure you haven’t overloaded your trailer based on your tow vehicle’s Gross Vehicle Weight Rating (GVWR). The road to safer towing also includes making sure your vehicle is equipped with a fire extinguisher, flares, and reflectors before your trip begins. Once you’ve made sure your vehicle and trailer are ready to roll, you’re ready to fasten your seat belt, adjust your mirrors, and start towing. While you’re on the road, be sure to maintain a speed no greater than 55 mph and to stop often for rest and to inspect your vehicle and trailer connections. We recommend checking tire pressure, retightening lug nuts, and making sure couplers are secured after 10 and 25 miles. After 50 miles, you should also check to see that safety chains are fastened and not dragging and that your cargo is still secure. Shifting to a lower gear and easing off the gas pedal when driving downhill. Don’t ride the brakes. There’s a lot to consider when it comes to safer towing. You can find additional information in our Guide to Towing and Pre-Departure Checklist. If you have additional questions, please let us know. When it comes to safer towing, Carry-On Trailer is committed to helping you become the safest user on the road.